You're sitting in the comfort of your home, on a old, soft couch, gazing out the large back windows at the honey colored glow of the sunset, as twilight takes over your world, draping it in muted shades of gold and ever-lengthening shadows. This is the perfect time for Ultrasound's fifth album, Hamesh. Named after a Hebrew symbol said to ward off evil spirits, this album is a beautiful sonic tapestry of guitar, piano, viola, saxophone, harmonium, samples, field recordings, and other difficult to identify sounds (the band even incorporates the drone of a bad electrical ground into their music). A few tracks also feature sleepy, barely discernable vocals. Tracks flow, one into the next, with grace so gentle, that you really don't notice where one ends and next begins. Sometimes the music is achingly beautiful, with an almost classical ambience about it, at other times it dissolves into a swirl of noise that is somehow never grating. Imagine Popul Vuh experimenting with the fuzzy, droning textures of bands like My Bloody Valentine or Spacemen 3, and you get an idea of what this album has in store for you. It's the kind of album that continues to reward the listener with each playing, as sounds already heard unfold to reveal new aural coastlines to explore, and fresh sonic waters to dip your ears into. Put on Hamesh, and drift away on a gentle tide of twilight bliss. 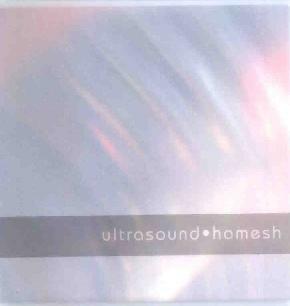 For more information you can visit The Ultrasound web site is at: http://www.ultrasoundsite.homestead.com. Email the band at: ultrasoundings@hotmail.com. Contact via snail mail c/o Autonomy; PO Box 3295; Citrus Heights, CA 95611-3295.